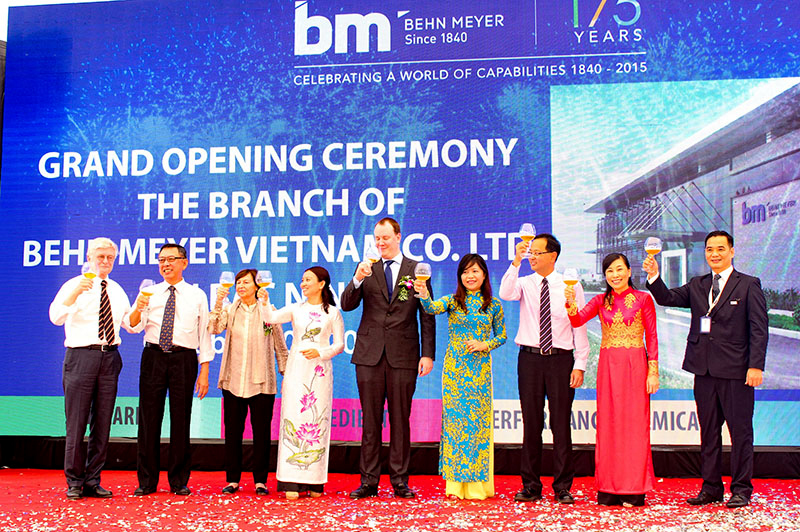 The opening ceremony of Behn Meyer Vietnam branch office in Bac Ninh was carried out on October 30th 2015 marking a new success chapter of Behn Meyer Group in general and Behn Meyer Vietnam in particular. 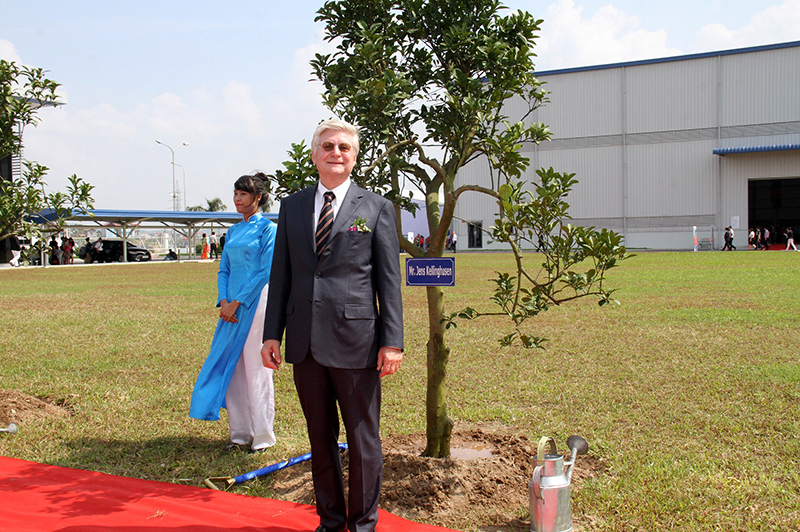 The project started its construction in August 2014 on area of 1.7 hectare in Vietnam Singapore industrial park located in Tu Son, Bac Ninh province, northern Vietnam. After 8 months of construction, the project is completed with 1200 M2 office for 2 floors and 3000 M2 warehouse, The office branch is dedicated to provide better services to customers in North Vietnam market. 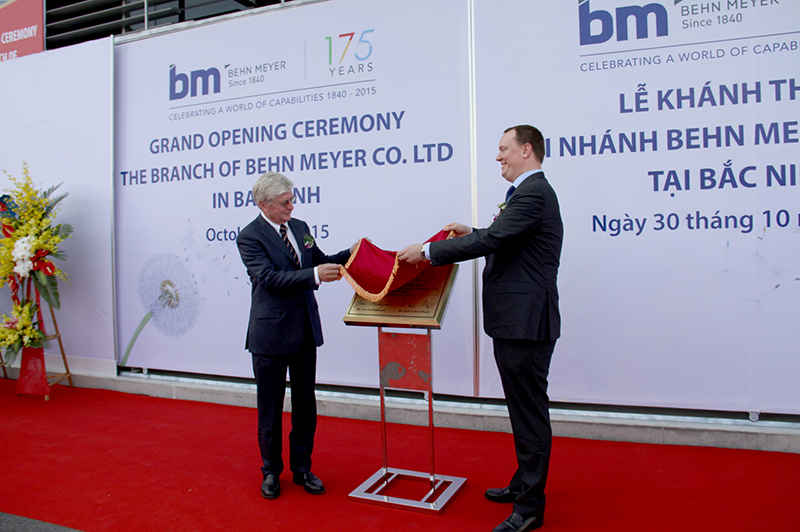 “Today, beside the special event of celebrating Behn Meyer‘s 175th Anniversary, Behn Meyer Vietnam is very proud to open its branch office in Bac Ninh province. 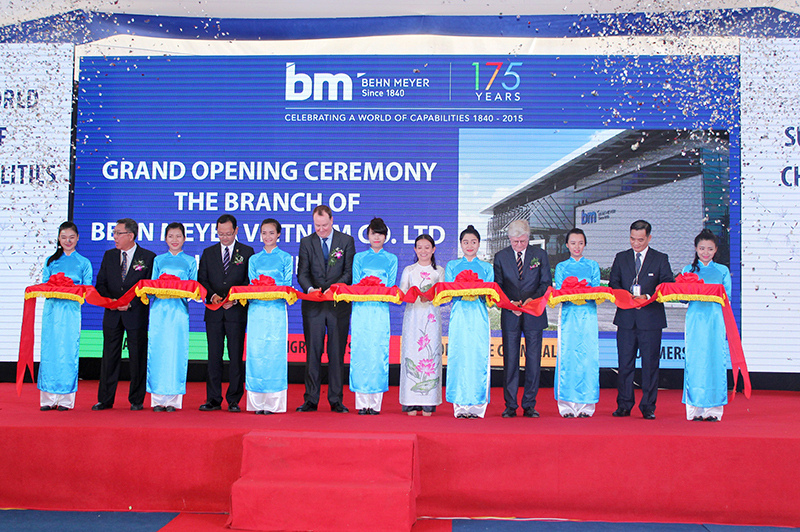 This is the next important step for Behn Meyer Group’s future that Behn Meyer Vietnam has the honor of contribution” said Ms. Khau Thi Thien Kim, General Director of Behn Meyer Vietnam Co., Ltd. This event is welcomed warmly the honor director board from Behn Meyer Holding AG, Germany, country general directors from Behn Meyer Chemicals (M) Sdn. Bhd Malaysia, PT. 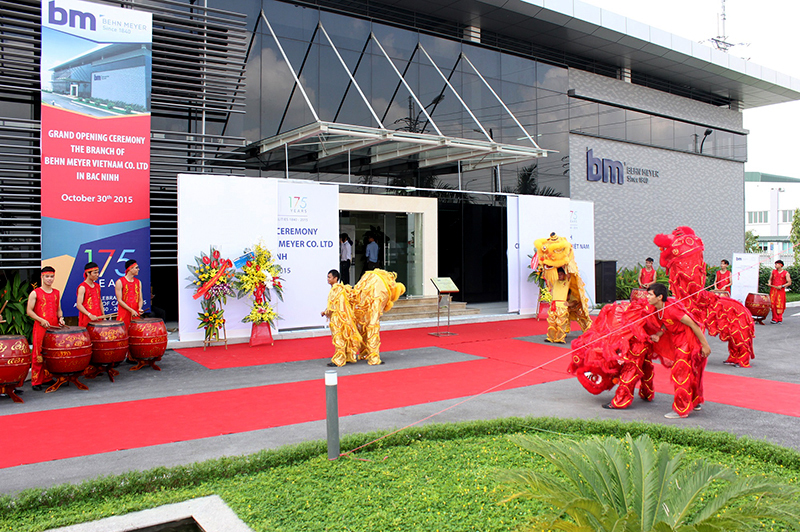 Behn Meyer Chemicals, honor representatives from suppliers over the world namely BASF, Evonik, Exxon Mobil, Lanxess, DSM, Celite, Kemira, Thor, Symrise, UCM, Nippon, Maruzen, Kouyoh, Lisse, Era, Dow Chemical, Viscofan, Brendle, and more than 150 esteemed customers in North Vietnam market.